Want to return your Firebird or Trans Am to how it came from GM? 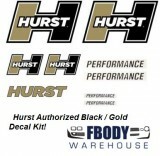 After paint replace the small but plenty informational factory specification decals from Fbodywarehouse. We off them all emissions, spare tire, air inflation, compressor, and air filter decals. Easy to apply. We have an instructional video on replacing these at home as well in the video library. These are the finishing touches on your 1970 1971 1972 1973 that make the difference!